Direct from the biblical land of Canaan! It’s Joseph – the favorite son of Jacob – who is blessed with vivid dreams that foretell the future. 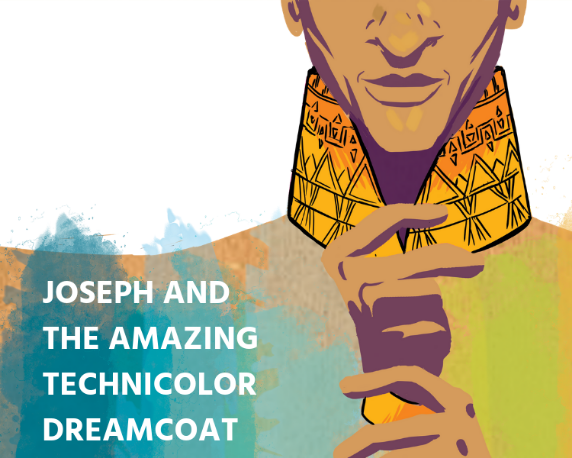 Follow along on his technicolor journey that includes slavery, betrayal, revelation and a hilarious Elvis-like Pharaoh. The powerhouse musical duo of Andrew Lloyd Webber and Tim Rice bring a multitude of musical genres to the stage, from country-western and calypso to pop and rock 'n roll. Director Jeff Orton promises a wild energetic production chock full of outlandish costumes, wacky characters and a cartoon-like Canaan. Foot-tapping, hand-clapping fun for the whole family. Join us for a timeless story for the holiday season!